While you may feel that the problem you have with eating is unusual or shameful, you are not alone. Eating disorder charity Beat has estimated that at least one million people in the UK are affected. It can develop in boys, girls, men and women, regardless of background. As many as 1 in 20 women will have some form of eating problem. Bulimia tends to be more common than anorexia among older women; affecting one or two in every hundred, in the UK. Compulsive eating seems to be a problem for both men and women, equally, at all ages. It’s possible for people to experience both anorexia and bulimia in the course of their lives. People who experience eating problems may also have other self-harming behaviour. According to statistics, men are ten times less likely to develop anorexia than women, and rarely report bulimia. But, there is some feeling that the statistics don’t reflect the true picture, because men are less likely to seek help than women. The Have I Got A Problem website is a free online resource to help people better understand any issues or concerns they may have about mental health or addiction. 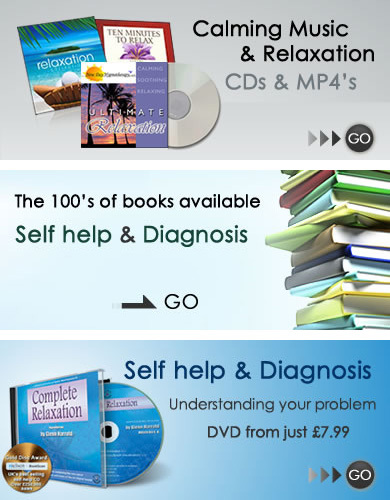 The website includes resources specifically focused to; general Mental Health, Depression, Stress, Anxiety, Insecurities, Self-harm Schizophrenia, Bipolar, Anger Management, Eating Disorders, Coping, general Addiction, Alcohol, Smoking, Gambling, Drugs, Cocaine, Heroin, Marijuana (Cannabis) Ecstasy, PCP, Mephedrone, Ketamine & Crystal Meth. The site was created to give the public information to help them understand mental health and addiction issues and to assist people in making better informed decisions about their life and personal choices. "I was really into ballet, which, combined with going through puberty, was a recipe for body issues. I began with food restriction, as most do, and the vicious cycle began. I didn’t know it was an eating disorder." "I had no outstanding family position and felt as if I had no outstanding trait among my peers. I was in competition with them to be thin, smart, popular. This was the beginning of my anorexia." "I thought I could control anorexia but I have to admit it, anorexia controls me. Some days I'm running against fat and some days I'm running against anorexia." "It all began as skipping one meal after being called a"
"I realized that eating disorders never disappear, they simply shuffle themselves to the backs of closets and lurk, whether waiting for control or acceptance." "I could not concentrate on anything other than my next binge or purge." "I feel guilty every time I eat." "This is an eating disorder in recovery. I eat six times per day, like clockwork. I exercise. I rest. I have friends, a job, schoolwork, bills, and responsibilities." "I enjoyed nothing more than cooking large meals for everyone, but didn’t eat myself or if I did eat I would binge followed by a purge." "I wanted a lot out of life, I had a lot of expectations of myself, and I was convinced being thin was a part of that." "I was also hospitalized several times, lost jobs, a fiance and friendships. The eating disorder consumed my life and my mind became my enemy." "My disorder cost me the completion of my high school education. I was an excellent student." "Soon I couldn't go through a meal without knowing how many calories I was consuming. As I continued to restrict more and more, my actions became more obvious. I was constantly sad for no apparent reason, and would get angry very quickly." "Without these individuals and factors I would not have climbed the mountain that is recovery. But I also would not have done it without me!" "My eating disorder took over for about eight months until I got therapy, which helped immensely, but also made me realize I was pursuing a dream and career that I didn't really want at all, which was really at the root of my obsession with food and weight"
"I learned to get in touch with a higher power, to creatively visualize what recovery looked like for me and to gain confidence that I had a place in the world and that I could express myself, accept myself and let go of the shame that had me locked away a"
"My life was consumed with food, insecurities and my outward appearance. While other kids were learning what their favourite sports or colours were, I had my head in a toilet." "Only two people know about my eating disorder: my mom and one of my best friends. They are very understanding, but I don't think they fully understand what I'm going through. Sometimes they try to make me eat, which always results in a round of yelling an"
"I gradually began to lose weight through heavily restricting my food, and exercising excessively. I lost weight – a lot, but I failed to feel like I had achieved anything"
"It took time, and trial and error... but it paid off..."
"I am so lucky and thankful that I found the courage to ask for help – I really needed it"
"It may sound daunting - especially if you've been secretive for so long - but telling someone you trust is a good first step"
"The NHS National Diabetes Audit estimated that about one in three women with Type 1 diabetes under the age of 30 are either currently abusing insulin or have done in the past"
"When our son was diagnosed with Anorexia we were shocked, and felt like our whole lives had turned upside down"
"Many of the emotions and situations we have been through have been nightmarish at times and I have felt it would never end"
"You do feel at times that you are living a different life to everyone else"
"I feel that the fact both of us were having therapy helped us understand each other better and we developed a better way of communicating"
"It was a long battle from that first counselling appointment to today but I can now say without a doubt that Kel is FULLY recovered from her eating disorder"
"I was never a fit young person and certainly had a lot of “puppy fat""
"I was told by Doctors I'd done too much damage to my body over my teenage years and I would probably never have children. My husband and I are very pleased to say I've just given birth to our first baby, Evelyn"
"The days when every waking moment was consumed by mental arithmetic to work out how many calories are in different foods and what I would allow myself to eat are gone"
"Recovering from an eating disorder takes time. There are no quick fixes or miracle cures, so it’s important to have patience." "Being strong is being able to get out of your eating disorder and becoming healthy, even when the voice in your head won’t let you. Ignoring this voice, is being the strongest, so don’t ever give up." "Stop comparing yourself to others. You’re your own person." "Inner beauty never needs makeup or diets." "Your body is precious. It is our vehicle for awakening. Treat it with care." "Recovery won’t be perfect, Nothing ever is. You are not your past, let’s see what we can both make of our future. Never underestimate yourself. You can’t fail at something if you keep trying…"
"The secret of health for both the body and mind is not to mourn the past, or worry about the future, but to live the present moment wisely and earnestly." "Please take care of yourself and give yourself all the credit you deserve." "I am angry that I starved my brain and that I sat shivering in my bed at night instead of dancing or reading poetry or eating ice cream or kissing somebody." A person who is anxious about eating will feel more comfortable doing so among other people they trust, such as family or friends. This may mean planning ahead to ensure meals are served at times when everyone can be present. Try to keep the topic of conversation positive throughout each meal, and avoid talking about food, particularly calories and fat content. Meal times are a good opportunity for a person with an eating disorder to learn to associate eating with a pleasant environment. Keep a food diary of what you eat and when you eat it to help you focus on eating regularly. Also record any episodes of going without food for long periods of time, bingeing or purging and the thoughts and emotions you have about them. If you can learn to recognise the situations and feelings that lead you to engage in unhealthy eating behaviors it will help you to figure out ways of dealing with them. The things you find out about yourself may surprise you. Studies have shown exercise to have a positive effect on low self-esteem and poor body image, which are widely cited as being contributory factors in the onset of eating disorders. Remember exercise is good for us, but too much can have a detrimental effect and place unnecessary stress on our bodies. People with anorexia often have a compulsion to exercise excessively and this needs to be addressed. A healthy amount is 30 minutes of physical activity on five days of the week. Unhealthy relationships with food do not develop overnight, and it can take many months and even years to regain full control over your eating habits. The road to recovery is a long one along which you must be prepared to take small steps, but you have every chance of making it. Remember, if you have acknowledged your eating disorder and have resolved yourself to do doing something about it, you are already halfway there. The types of foods we eat are important. We all like to indulge in our favourite foods every once in a while, but we should also eat as wide a variety of healthy, nutritious foods as possible. General nutrition guidelines suggest trying to eat plenty of fruits and vegetables; choosing complex carbohydrates such as bread, rice and pasta (whole grain if possible) rather than processed sugars; eat protein in the form of lean meats, fish, poultry, legumes and nuts, and drink water regularly. Support groups are a good way to find friends and comprehension. Find out if there are support groups in your area. The negative feelings that linger on your mind should be shared with your friends and close ones. Don’t suppress your feelings and let people, who matter to you, know why you are insecure. Sharing thoughts will let them understand your feelings better and find a remedy to your insecurity. The only way you can truly begin recovery is if you are honest with yourself first and then with others. Hiding behaviours does no one else any harm other than yourself. People are surprisingly supportive if you ask for help. Don’t feel ashamed for what you are going through. Rather forgive yourself and allow yourself to begin healing. This will be one of the most difficult, yet rewarding, things you will ever do in recovery. You cannot let numbers define you. Start to rediscover who you are as a person and what you truly enjoy. This is a great place to be yourself without any judgement and to understand where some of your feelings are stemming from. Recovery is a process and there are stumbling blocks but that should not discourage you from the amazing steps you have taken towards healing. I found that volunteering at an orphanage was a great way for me to gain perspective on life. The children allowed me to be in the present and I found myself thinking less about my eating disorder. If FTV is going to create anxiety around your eating disorder, don’t watch it. Ask people you trust to help you with this by telling them what makes you most vulnerable and eliminate these triggers from your environment. Throw away those magazines and photos that are holding you back. If you find it hard to express yourself in words, arts therapy can help you to express yourself through dance, movement, art or music. Some people find other therapies, such as massage, reflexology and aromatherapy, may also be very beneficial. Anorexia and bulimia can be deadly–and not just if you’re drastically underweight. Your health may be in danger, even if you only occasionally fast, binge, or purge, so it’s important to get a full medical evaluation. An effective treatment program for eating disorders should address more than just your symptoms and destructive eating habits. It should also address the root causes of the problem. Share your memories of specific times when you felt concerned about your friend’s eating or exercise behaviors. Explain that you think these things may indicate that there could be a problem that needs professional attention. Instead, take a good 5 to 10 minutes, go over your body from head to toe, and try to describe yourself out loud without being negative. You don't have to say you "love" anything, but just regular observations like "my hair is curly, my eyes are blue, my face is oval," etc. Looking at yourself objectively can help overcome the negative feelings and make it easier to face your reflection. If your friend refuses to acknowledge that there is a problem or any reason for you to be concerned, restate your feelings and the reasons for them and leave yourself open and available as a supportive listener. Remind your friend that you care and want your friend to be healthy and happy. Does that magazine you always read have pictures that trigger you? Cancel your subscription or make a point to not buy it anymore. Stop visiting the websites or watching the shows or reading the books that you know will encourage the eating disorder. Set aside a time for a private, respectful meeting with your friend to discuss your concerns openly and honestly in a caring, supportive way. Make sure you will be some place away from distractions. If you skip a meal, it doesn't mean you should continue doing so for the rest of the day and you'll just "get back on track tomorrow". Start over with the next meal. Emotions tend to rise and fall regarding food and body image very easily. Your good days won't last and that's ok. Neither will your bad ones. There is always a tomorrow to look forward to, to make new goals and try again. Work with doctors and specialists to help your problem in any way you can. They have qualifications and years of experience, and you need the help. Pay special attention to learning when your body is telling you it is hungry or full. Often, eating disorders will distort these signals and they must be re-learned, but they are crucial to eating healthy portions. for meals. This means that the person with the eating disorder can see the full process of their food being bought and cooked, and the person/people they live with can help them to embrace eating in a positive, healthy way by giving them input and choices in the cooking process. Don’t focus all attention on the person with the eating disorder, particularly an anorexic who has only recently graduated to eating meals with his or her family. Make minimal fuss and treat everything as normal. family time, like a board game or perhaps watching a film together, is a good way of keeping your eye on the person with the eating disorder, making it difficult for them to disappear and purge in the toilets, or exercise excessively. Setbacks happen. Don’t worry too much, carry on as you were, and the next day, continue doing what you were doing, but with renewed vigour to succeed. Low self-esteem is one of the primary reasons for eating disorders. If your child is beginning to look like they have bodyweight issues, do your best to keep their self opinion high by encouraging and supporting them in anything they do. Try to find healthy ways to manage unpleasant feelings such as stress, anxiety, depression, loneliness, or self-hatred. A well-rounded sense of self and solid self-esteem are perhaps the best antidotes to disordered eating. Parents must avoid threats, scare tactics, angry outbursts, and put-downs. Bear in mind that an eating disorder is often a symptom to extreme emotional and stress, an attempt to manage emotional pain, stress, and/or self-hate. Negative communication will only make it worse. Examine your own attitudes about food, weight, body image and body size. Think about the way you personally are affected by body-image pressures, and share these with the affected person. Attending an eating disorder support group can help your loved one feel less alone and ashamed. Run by peers rather than professionals, support groups provide a safe environment to share experiences, advice, encouragement, and coping strategies. Dieticians or nutritionists are often involved in the treatment of eating disorders. They can help your loved one design meal plans, set dietary goals, and achieve a healthy weight. Nutritional counseling may also involve education about basic nutrition and the health consequences of eating disorders. Individual and group therapy can help your loved one explore the issues underlying the eating disorder, improve self-esteem, and learn healthy ways of responding to stress and emotional pain. Family therapy is also effective for dealing with the impact the eating disorder has on the entire family unit. Planning your responses to hunger helps you shed pounds faster. Avoid "Fat-Free": fat doesn't make you fat; you need fat in your diet to help you process certain nutrients. Avoid "Dieting": by dieting, you're setting yourself up to gain more weight than ever. Hours From Death: Anorexia Sufferer’s Incredible Reco..
Nadia Sawalha Opens Up About Her Eating Disorder | Lo..
Are Eating Disorders a Choice? Is Durianrider right? School Lessons On Weight Trigger Eating Disorders | G..
Why I Don't Have Children...// EATING DISORDER Topic ..